Tunisia, Paris, and now Brussels: escalating attacks on western targets reflect a shift of focus by ISIS. 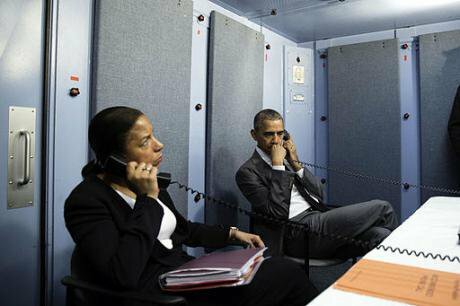 President Barack Obama and National Security Advisor Susan E. Rice on phone with Homeland Security Advisor Lisa Monaco receiving an update on terrorist attack in Brussels, Belgium, March 22, 2016. Wikicommons/ Pete Souza. Some rights reserved.The security consultancy IHS Jane’s has just completed an assessment on the risk of an armed attack in Europe. Its report was published a few days before the assaults in Brussels on 22 March (see “Urban Risk”, Jane’s Intelligence Review, April 2016). The analysis concluded that the risk was high, and most likely to involve the use of firearms rather than bombs because the former are easier to obtain. It also employed a complex methodology to assess which cities were most at risk. The top five were, in order: Paris, Toulouse, London, Brussels and Copenhagen. In the event, the Brussels attacks did involve bombs rather than firearms. The explosive used was mostly likely triacetone triperoxide (TATP), an unstable chemical but one that can be made quite easily from widely available materials such as acetone and hydrogen peroxide. It would have required some skill, hence the urgent effort now to capture the bombmaker. There is a wider issue, however. Why has ISIS developed the strategy, evident in 2015-16, of extending its campaign to international targets? In this period there have been two such attacks in Tunisia, two in Paris, and now Brussels, with several others being thwarted along the way (including another in Paris, as reported by police on 25 March). In broad terms, this marks a contrast with its predecessor movement and sometime rival, al-Qaida. The latter's operations in the early 2000s were very much focused on encouraging, enabling and organising such attacks: these occurred in Istanbul, Bali, Islamabad, Jakarta, Mombasa, Amman, Casablanca, Madrid, London, and many other places. ISIS, by contrast, has emphasised the control of territory, a purpose outlined by Abu Bakr al-Baghdadi’s sermon as “caliph” in Mosul's grand mosque in July 2014. The caliphate in Iraq-Syria remains at the core of its immediate ambitions. Since mid-2014 it has also been involved in linking up with other groups: in the Caucasus, Yemen, and Libya (where it established control of Sirte and substantial areas elsewhere). More recently, it has set its sights on western targets. There are three reasons for the change in strategy, two of them straightforward. First, attacks such as those in Paris and Brussels are designed to have a maximum impact, especially via the media, across the world. This demonstrates its potential as a movement with global impact and also incites further military action against it from the west. 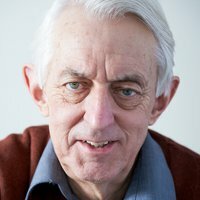 The latter point highlights ISIS's long-term aim from the start: to provoke war in order to present itself as the true guardian of Islam under attack from the pernicious “far enemy” of the west. Second, ISIS wants to stir up as much anti-Muslim bigotry and Islamophobia as possible, especially in western Europe. This damages community relations and makes a tiny but still significant proportion of young Muslims feel even more thoroughly alienated and marginalised, and therefore more susceptible to indoctrination and recruitment. Third, and more complex, the war being fought in the Middle East – especially the air campaign waged by the United States-led coalition – plays a vital role in ISIS's shift. This has been under way for twenty months, since August 2014, and is now being accompanied by frequent claims that ISIS is in serious retreat. The evidence includes the group's loss of Ramadi and potential reversal in Palmyra. ISIS certainly is in some degree of retreat, but a more modest one than western sources believe. Ramadi, for example, was fought over for five months before Iraqi army forces finally took control in December 2015; yet it is reported that ISIS units still operate around the city and stage frequent attacks on the army. ISIS experienced a surge in recruitment from abroad in 2015. But it is being buffeted by a severe casualty rate, much higher than is recognised in most western countries. US Central Command, in charge of the campaign against ISIS, says it has killed at least 22,000 of the group's supporters in these twenty months. This is equivalent to a Brussels-level loss of life every day for twenty months. ISIS may be able to tolerate this, at least for some months yet. Its current expansion in Libya offers it encouragement. But ISIS also wants to remind its supporters that, when it is suffering in the “noble war” against the west, it is also capable of hitting back in a spectacular way. The impact of the intense air-war probably began to have an effect at the end of 2014 and start of 2015, which helped push ISIS towards its change of strategy. If Europol is right and ISIS has been assiduous in developing cadres of supporters ready to organise and stage attacks in the west, then the war against ISIS has indeed taken a new turn. It is a bleak prospect for European governments and for the United States. In the coming months, they will meet the challenge by increasing the tempo of the air-war in Iraq and Syria, greater use of special forces (and possibly even regular ground troops), and expanding the war into Libya. All this might be portrayed as indicating that ISIS is weakened and on the defensive. But it looks much more like a very nasty war coming home to roost.